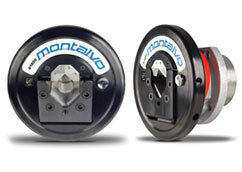 The (TS) Torque Sensor provides force (torque) feedback directly from a Montalvo tension brake (V or CS series); eliminating the need for a tension sensing roller using load cells or a dancer. 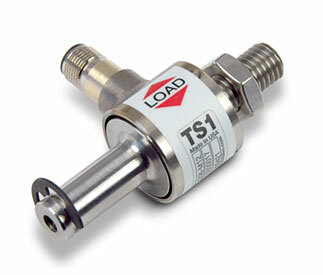 The TS is at the heart of our latest open loop tension control innovation. The TS utilizes our semi-conductor strain gauge load cell technology to produce a more accurate signal that is sensitive to the slightest changes in torque to maximize productivity. Metric or Inch thread types and ranges from 0.22 in-lb to 7,021 in-lbs. A 100% Stainless Steel body makes the TS more durable and more rugged for an extended, dependable service life. The TS easily replaces existing anti-rotation pins on your Montalvo V or CS Series Brakes to quickly and simply upgrade your unwind. 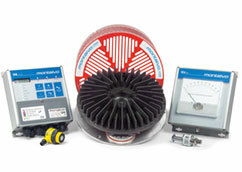 For additional information on the TS Torque Sensor please download the Datasheet.